3% DOWN WITH REDUCED INTEREST RATE AND MORTGAGE INSURANCE! 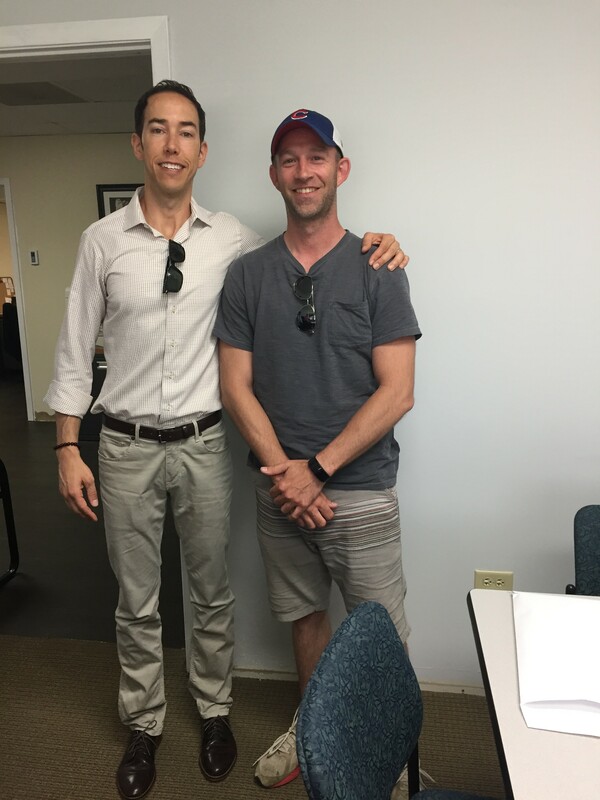 Cory was able to take advantage of our special first-time homebuyer program that comes with a reduction to the interest rate AND to the mortgage insurance with a down-payment of only 3%. 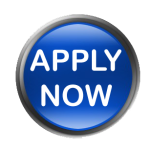 Just one of the many niche programs we are able to offer as a mortgage broker. 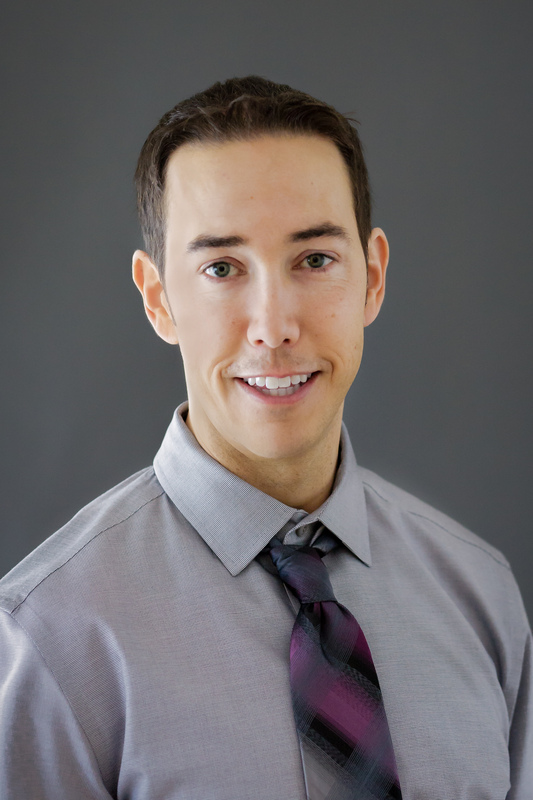 Thank you, Cory, for being such a diligent and responsive client! And special Thank You to Cory’s outstanding real estate agent, Pam Wagner of Re/Max Top Performers for all of her top-notch service and friendly demeanor! ‘TIS THE SEASON FOR 1ST-TIME HOMEBUYERS! Last week I had had the joy and privilege of spreading some holiday cheer to three sets of first-time homebuyers! 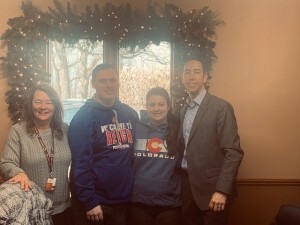 It warms my heart to know that Jamie & Tim, Miranda & Joe, and Danielle & Brandon will be able to celebrate Christmas and New Year this year in their new homes! 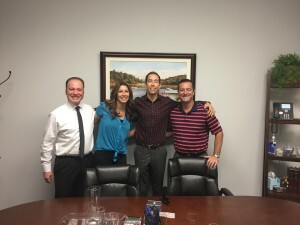 Special thank you to Jamie & Tim’s bright and joyous realtor, Joe Prindle of Homesmart Connect, and their excellent attorney, Mark DeRue. And thank you to Joe & Miranda’s realtor extraordinaire, Cathy Anderson, of Realty World. And thank you to Danielle & Brandon’s wonderful realtor, Jen Goldberg, of Re/Max Plaza, and their always-awesome attorney, Annie Haggerty. 3% DOWN WITH NO PMI! 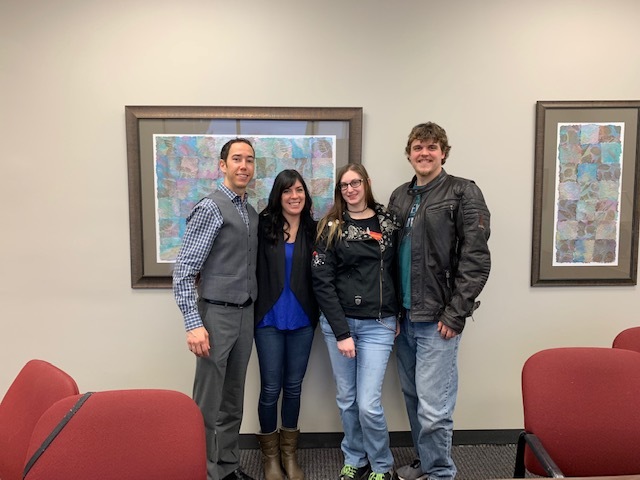 I was able to help Derek and Haily (pictured, 2nd and 3rd from left) purchase their very first home under our special 3% down program with no Mortgage Insurance (PMI)! This program eliminated nearly $100/month from their monthly payment, AND reduced their out-of-pocket expenses, which enabled them to do a couple home-repair projects that they otherwise would have had to save for and put off for months or years. Not only did I get the privilege to help another couple purchase their very first home together, but I also got the privilege of working with attorney, Lehn Shephard, and real estate broker, Tanya Vogel, once again. Lehn and Tanya like a “dream team,” and are always a pleasure to work with. BIG SMILES AND SMALL WORLD! 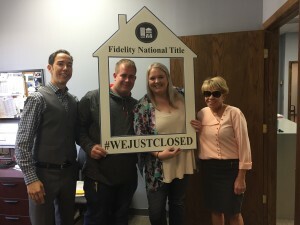 When Chris and Kaitlyn (pictured) came to me at the suggestion of their excellent real estate broker, Christine Hauck (pictured, far-right), they were not only relieved that I was able to significantly reduce their closing costs compared to the other lender they had talked to, but also because they knew of me through friends and family! This connection made the approval and closing process that much more joyful. Kaitlyn and Chris were and absolute pleasure to work with, and it was great seeing big smiles on their faces at closing when they received the keys to their very first home! HERE’S YOUR WEDDING GIFT – A NEW HOUSE! 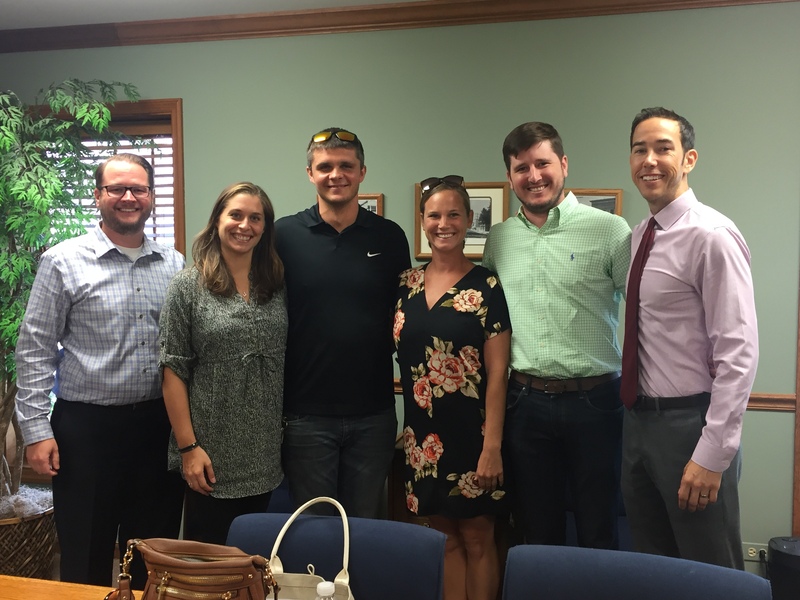 What a privilege to be able to help newlyweds, Monica and Eric (pictured, 2nd and 3rd from left), purchase their new home to start a new chapter of their lives together. 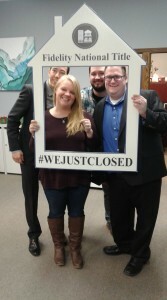 The love and excitement was beaming from their faces at closing! 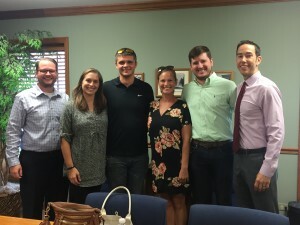 And what a great team they had behind them, including their real estate attorney, Lehn Shephard (pictured, far left), real estate broker, Tanya Vogel (pictured, 3rd from right), and homeowner’s insurance agent, Forrest Eikenburg (pictured, 2nd from right). I would strongly recommend those three professionals to anyone looking to purchase a home in Illinois! 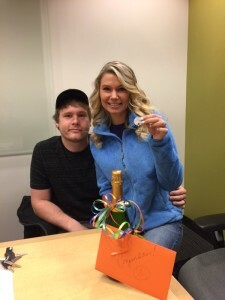 I had been working with Tami to help her purchase a home, with some tough luck, for well over a year. 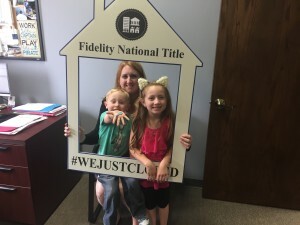 And you can see the joy and relief on her face, as well as her adorable children, when the keys were handed to her at closing. This was a truly rewarding experience for me! 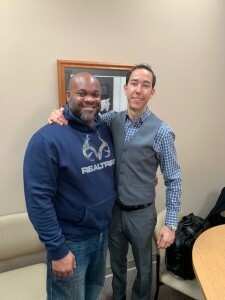 I also got a chance to see Tami’s wonderful mother and real estate broker, Vicki Mayoh, at closing, and meet attorney, Joe Gotemoller, at closing. This is the reason why I try to show up to all of my purchase closings! Rarely can I say that a closing was fun. 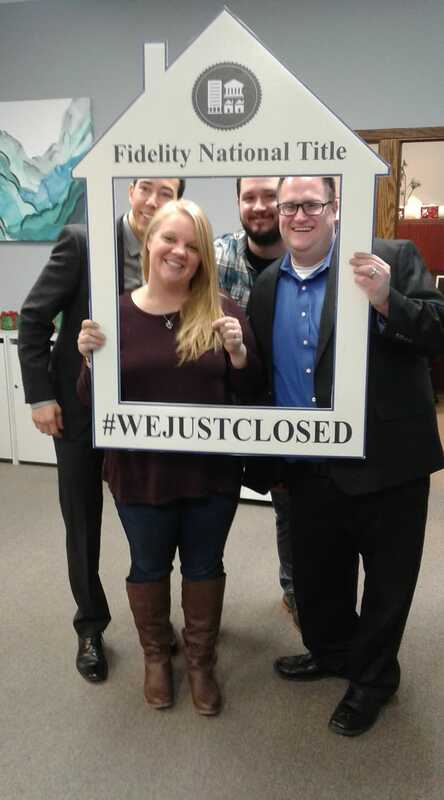 Closings are many things – joyful, rewarding, enjoyable, structured, quick, quiet, etc. But this closing, in one word, was FUN. 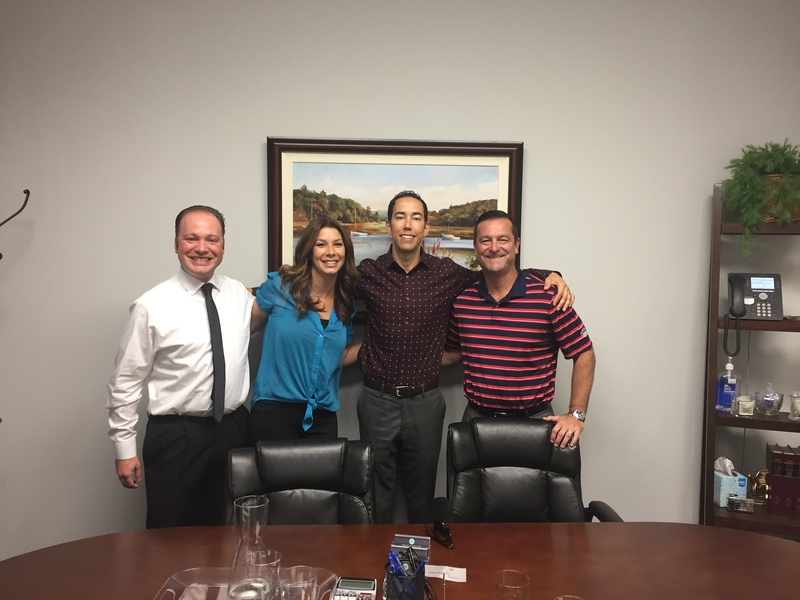 It helped that our lovely buyer, Caryn, knew her attorney, Mike (pictured far-left), from elementary school, and that her real estate broker, Andy Murphy (pictured far-right), is just a fun guy (not to be mistaken with fungi) and a tremendous real estate professional. It was such an easy and joyful experience working with Caryn that it was just so fitting that the closing was full of nothing but smiles and laughter. 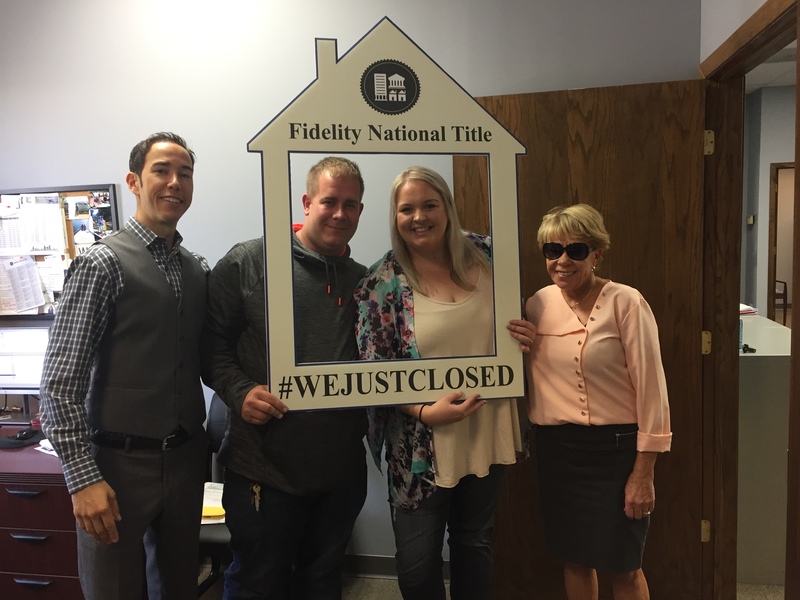 Jay and Angie, one of the nicest young couples you will ever meet, needed a larger home to suit their growing family. Mission accomplished! We were able to help them purchase their beautiful new home on the same day that they sold their previous home. They should be set for the next 30 years 😊. 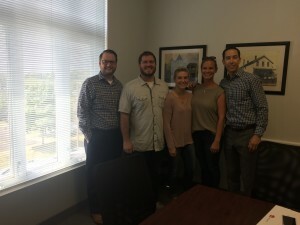 Special thanks to their top-notch real estate broker, Dennis Drake, from Century 21 Roberts and Andrews, and their always-amazing attorney, Annie Hagerty, from Clark & McArdle PC, for their services. FHA PURCHASE IN 20 BUSINESS DAYS! 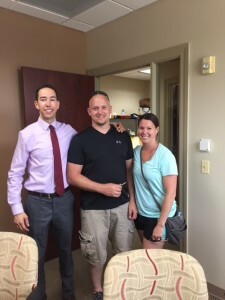 Congratulations to Eric for his purchase of his beautiful new home! 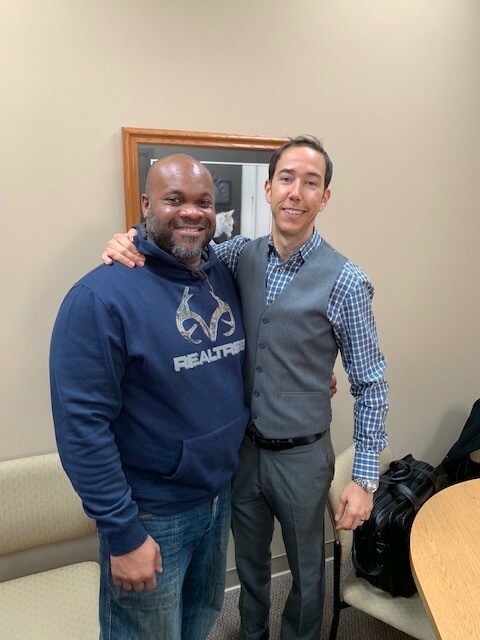 My team and I were able to take Eric from start to finish to purchase his new home with an FHA mortgage in only 20 business days. It definitely helped that he was organized, diligent, and responsive – the qualities we love in our borrowers. And once again, we have to thank realtor extraordinaire, Cathy Anderson from Results Realty, for her dynamite service and assistance.